Toronto-based SWERVEPR has been selected as the Canadian agency of record (AOR) Diono. 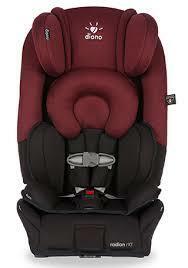 Diono, a manufacturer of innovative child safety seats, travel and car seat accessories. In the new assignment, the agency will work with Diono to continue to build overall brand awareness in the Canadian market and will focus efforts on some of their existing top-selling products as well as new product items coming in Fall 2017.